The idea of designing spaces for Collaborative Learning emerged out consultation with teaching staff in preparation for the 1999/2000 Lecture Theatre Refurbishment Program. At that time, I spoke to selected teaching staff and asked them to imagine that money and technology was no object and to simply describe how they would like to teach and I undertook to design and build a space to make it possible. A number of separate discussions were held, out of which a concept of "collaborative learning" emerged as the common theme uniting the range of different concepts. I then worked with engineers and architects to design a series of spaces which support collaborative learning, some of them very simple models, but others which are unique in the world. Thus, the concept of Collaborative Learning Space emerged out of the collaboration of teaching staff and support staff at this university. The particular feature of these designs is the ability for students and tutors to move between different modes of collaboration. Some used computers as an integral part of the design, others don't. Now, there is a sound theoretical basis underlying this idea of learning through collaboration, well-known to many academics at Melbourne, but this idea had never been introduced into the design of our teaching spaces. The conception of learning underlying our Multimedia Lecture Theatres is quite explicitly exhibited in their design. The teacher projects images on to a screen in front of the student audience, and provides a voice-over telling the students how to interpret the images, while the students take notes. This is a wonderful representation of the popular conception of how we humans perceive and understand the world, and this was also the dominant scientific conception at least until the beginning of the nineteenth century. By building a teaching space which gave physical form to the way our administrators believed education happens, they hoped to facilitate the process. Thus, the emphasis was on achieving bright, impressive images with high rates of information transfer from teacher to student. There will always be a place for this mode of learning, but it must find its place in an educational environment which emphasises active and critical engagement throughout the University community. If someone puts an image in front of you and you are able to reflect it in your mind's eye then that's all very well, but the ability to sensuously represent a thing does not mean that you know anything about it at all. A camera can capture a perfect image of something but a camera cannot represent what the thing is used for, what its value is, what its name is, its meaning. These things, the stuff of knowledge, ideals are not given in the image of a thing, and cannot be sensuously acquired. No matter how many megabytes of information are pumped into our sense organs we are none the wiser for it. 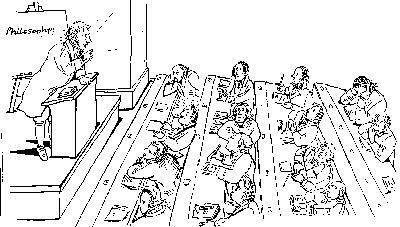 The approach which has its origins in Hegel and was formulated by Marx in the mid-nineteenth century and was developed by the Soviet psychologist Lev Vygotsky and which underlies the collaborative or constructivist conception of learning, emphasises the activity of subject (that is, the learner) as opposed to seeing the student as the passive recipient of sensory stimuli. The use of a thing, its value, its name, in short its meaning is the way in which people act together or collaborate by means of the thing. Learning is nothing more than the process of internalising this activity that we engage in with other people, associated with a thing, and assimilating it mentally as the significance of the thing. The specific features of human activity which are internalised in the form of knowledge are, according to Vygotksy: firstly, the instruments which have been developed by a culture  words, tools, laws, icons, and so on; and secondly, an individuals position in a network of social relations  with other individuals, within particular social structures and through these relations with universals characteristic of the society of which they are a part  principles of science, religious obligations and beliefs, laws, national identities, and so on and so forth. So learning involves working with these objects with other people. The word "constructivist" conveys the idea that people build meaning out of material given to us by nature. Constructivism is a broad school. Owing to the anathema attached to Marx's ideas and the repression and manipulation suffered by the scientific community in the Soviet Union, and the Cold War which isolated Soviet science from the West until the 1960s entirely, constructivism has ceased to be the exclusive territory of Marxists and an extremely broad variety of schools of thought contend with one another within the arena of constructivism. 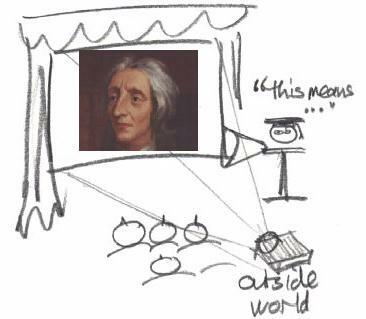 Some retain a very individualist conception of learning and a relativist conception of knowledge; others emphasise cultural and historical aspects of knowledge, some are relatively non-political, others are highly political. But the basic idea is by no means esoteric. 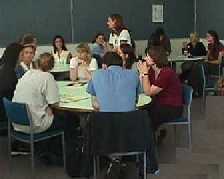 The collaborative learning principle is the simple idea that is embodied in the Prac. class which is traditional in all the sciences, in the Oxford tutorial method of teaching which dates back to Socrates and in all those methods of teaching which require the student to use things in some kind of activity and gives critical feedback to the student. However, collaborative is not a word to be understood in a restrictive sense. 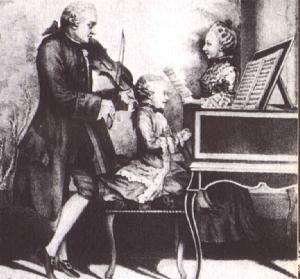 When the piano student lays her fingers on the keys, she is collaborating with the millions of people who over history have contributed to the arrangement of those keys and the formation of the Western European scale of music, and the ears with which she listens are the product of all those musicians who have gone before her, and so her playing can only be a collaborative effort. Even listening to a lecture in music theory requires the student to pay attention and is a collaborative effort. One has to have first had the experience of engaging in a debate and argument before you can debate and argue with yourself, inside your own head, but once youve learnt to do that of course, you can think something through without having someone else to bounce your ideas off. But that capacity was originally developed through collaborative learning! While many different modes of learning are both possible and necessary, you would have to say that there is a lot of force to the idea of building a space which is deliberatively modelled on the idea of collaboration and is designed to facilitate and enhance collaboration. When I talk of collaboration, I particularly have in mind that kind of activity which goes beyond a division of labour  which is how I would characterise cooperative learning  to one where people actively engage one another, challenge each other, the kind of team work which produces something new, a whole greater than the sum of the parts. Collaborative learning is a way of teaching and learning. You can do it, as Som once pointed out to me, sitting on the dirt under a palm tree. But if we design for it, we can make it easier and more effective. That's what I'm here for, isn't it? Schools started to deliberately change their architecture to enhance learning in the late 1970s. I guess most of our administrators were educated prior to that time and have never learnt that lesson, but it is high time that Universities caught up with our schools. I find it difficult to imagine how one could have a research institution which did not have a serious attitude towards learning, and yet Universities seem to have been content with the idea that learning is the job of the students, not the University. Probably the simplest tool for collaborative learning is the kitchen table, whose flat, reflective surface carries sound from one to another while keeping the line of sight clear between everyone at the table and protecting their modesty and it provides ample room to spread out papers, toss objects around and pass text and images back and forth. But the internet, and computer mediated communication generally, has given us marvellously enhanced opportunities for collaboration which may even extend beyond the context of a face-to-face meetings, both temporally and spatially. Computers, with monitors positioned carefully so as not to interfere with interpersonal lines of sight, and a variety of input devices from touch screens to remote keyboards, allow electronic texts and images to be messed about with collaboratively, and material used, for example, in asynchronous discussions outside the classroom, or sitting on the Web somewhere, can be made the subject of face-to-face interactions, interconnecting work on the internet or on course material with face-to-face contact with other students and with tutors. Achieving this poses us some challenges. We had to design rooms in which the software and hardware were as much a part of the functionality of the room as the furniture and the walls; but University policy doesn't allow computers, let alone software, to be purchased from building funds! It's very expensive too, and using the spaces entails a total transformation of how a course is taught. Interestingly, many of the components of the solutions we have worked out were created for the business community; the captains of industry understand the need for big tables, collaborative software, touch screens and so forth for their decision-making and they've been willing and able to pay for it all. In addition to the 9 spaces built last summer, a further 7 are planned for 2001. In each case a different member of teaching staff was involved in developing the design concept. In each case, tables are designed to seat 4, 5, 6 or 7 or 25 students and seats are so chosen that the students can form and re-form themselves quickly into groups or for a whole class discussion or work in pairs or individually. Electronics allow material to be shared by the whole class or worked on in small groups. I won't say any more at this stage, but I have a number of images on the web which I can bring up to illustrate these ideas if you want to do that, and I'd be happy to see if we can work out some new designs to support other modes of collaboration that maybe we haven't thought of. Or maybe you'd prefer to discuss some of the points of theory I have referred to? See the various reports on this program on the AV Unit's web page. See The Formation of the Concept of “Collaborative Learning Space”.